Ice Bucket Challenge is meant to spread awareness of ALS(Amyotrophic Lateral Sclerosis) in the world and to aid the research to combat this disease.In this challenge,you pour a bucketful of ice water on yourself and nominate a few others to do the same.Everyone has to donate a certain amount of money to the foundation that does research to eradicate ALS. Many Americans are doing this,followed by Indians living in USA thereby spreading awareness of this disease in society.So far so good. Seeing this frenzy,a new trend called 'Rice Bucket Challenge' has started in India.Someone who believes that India is still a poor country with poor people who needs rice to be donated for their survival,started to donate a bucketful of rice to the needy.They call it Rice Bucket Challenge'. Now,in India,there is no dearth of either donors or receivers.Both givers and takers abound here.We have any number of rich people here who have the 'white card' which makes them eligible for receiving Government aid meant for poor people.They usually move in Benzs and BMWs but have no qualms in stopping happily near the 'Rice Bucket Challenge' tent to collect a bucket of rice. I have an ancient doubt which,of late,has gained enough strength. Do poor people really exist in India now?- is the doubt.Let us have a look around the country. Every poor house has color TV now,if possible the 42 inches HD one with cable network.If any citizen is devoid of such a one,some state Governments are making him self-sufficient by supplying one freely.Every house has more than four mobile phones each having four sim cards.Every new launch of a new mobile has instant takers in India.The Chinese brand MI.3 is the latest example.It is not an exaggeration to say that every Indian home now has enough old mobile sets to open a mobile shop without buying stocks.Every house has four two wheelers and two or more four wheelers. Where are poor people in India? Nonetheless,there are villages,even now,which have no facility of clean drinking water.But,there exists a wine shop in each of those villages,invariably.If not,the earlier Governments encouraged them. By evening, you can see all these wine shops vibrant with all kinds of men,sometimes with women,often with college girls who abscond from classes to have a sip of beer over there. There is one challenge that has been alive in our country as far back I could see conveniently.It is Wine Bucket Challenge.You need none to invite you for this.In fact,we voluntarily rush forward to participate in this grand challenge.This has been so since the time we got independence. Is Ice Bucket Challenge relevant to India which suffers from acute water shortage in hundrends of villages and towns? No. Is 'Rice Bucket Challenge' really necessary for today's Indians? The answer again, is a big loud 'NO'. Just because someone is ready to donate out of his idle enthusiasm which is more often than not a vague and unrealistic estimation of the ground reality,someone is ready to accept.Just because there are givers,there are takers.In my view, there is no poor man now in India. One of my friends from USA landed last year in India on a visit.He said-"Since my last visit a few years back,I find a great change in our country.Now I daresay that we in USA are poorer than most of you people here." I am not certain,if the world really needs Ice Bucket Challenge or Rice Bucket Challenge or Wine Bucket Challenge.But there is one challenge which every human being badly needs. It is called 'Wise Bucket Challenge'. This challenge means-living wisely and encouraging your fellow citizens to live wisely.To live according to the age old precepts of Sanatana Dharma is all about Wise Bucket Challenge.Every citizen of the world,without any exception,needs to accept this challenge. There is an English Idiom called 'Kicking the bucket'.We know what it means.Everyone who took birth has to die one day. 'Wise Bucket Challenge' urges you to empty your bucket by the time you leave this world. You can empty your bucket only when you live wisely.This is possible only when you live your life in Jnana and do your Karma with Jnana.Only then your Karmic Balance starts reducing.If you live a life that is full of Ajnana then by the time you die,your Karmic balance will increase a thousandfold and you leave this world with a heavy load of accumulated karma. We came into this world with a big bucket full of past Karma.If we live unwisely,then we tend to accumulate more and more bad Karma everyday.By the time we leave from the world,we are sure to leave with a tank full of bad karma on our heads.In such a condition no one knows what our next birth is going to be. Conversely,if we want to get out with no luggage on our back,then we have to live everyday of our life wisely,making it a life of Yoga.Only then,we will be able to win this challenge. You need not nominate anybody for this challenge,for nomination cannot be done in this game.This challenge is something that should come out from within on its own with no provocation from outside. Ice Bucket Challenge may spread awareness to eradicate ALS disease.Wise Bucket Challenge also does the same.In my books,ALS means Ajnana Lampata Syndrome i.e Ignorance and Craving Syndrome.One who can accept this challenge will be free from ignorance and craving. He becomes Atmarama or one who is self contented and blissful with no reason at all. I am not sure about the possible results of Ice Bucket Challenge or Rice Bucket Challenge,but sure about Wise Bucket Challenge.It surely and quickly removes our fundamental disease i.e ignorance. naashayaamyaatma bhaavastho jnaana deepena bhaasvataa"
The Lord Himself encourages us to take up this challenge and assures that he would be our strength in times of distress. In another verse,He Himself explained the hurdles that torment us without allowing us to accept and win this challenge.Let me look into Gita again at 14th chapter 8th verse. Pramada is the careless attitude which abhors spiritual quest. Alasya is the laziness in sadhana. Nidra is the sloth that makes us dull and disinterested in sadhana. These three,the Lord says,spring out from Ignorance and stop you at every step from advancing in spiritual life. So when you take up Wise Bucket Challenge,your inner WBC count will increase in a healthy manner that armors you with new strength to withstand the vagaries of life.It protects you from falling prey to spiritual ignorance. The Lord is calling us since times immemorial to accept this challenge.But none seems to listen to Him. O son of India.Get up.Cut with the sword of spiritual knowledge the doubts that spring up from primordial ignorance and linger in your heart.Take the help of Yoga and fight the war of life with it. This I call-"Wise Bucket Challenge"
Our age old Dharma is beckoning us.Our ancient seers are calling us to accept this challenge. But who cares to listen? Every one is ready to accept either Ice Bucket Challenge or Rice Bucket Challenge.No one is ready for 'Wise Bucket Challenge'. Is there anybody out there who can take up this challenge? Noted American actor Robin Williams died recently.I consider this a combined effect of Shapithe Yoga and Full Moon. 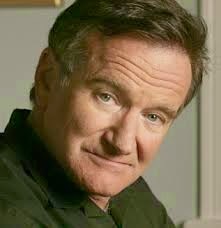 I started admiring his acting skills after seeing his three movies viz; 'JUMANJI','WHAT DREAMS MAY COME' and 'NIGHT AT THE MUSEUM'. I never saw his movies other than these three.Nevertheless I liked his way of expressing deep feelings with the help of few dialogues. A kind of sadness,depression and childish innocence mark him out from other actors.According to me,these are the very things that are the greatest attractive features of his character.His smile,especially,looks very candid and innocent. These are the charactristic features of Mercury.It would be wonderful to note that Mercury is his AtmaKaraka.In this way,planets imprint their signature on persons in a very strange manner. Let me look into his chart. He was born on 21-7-1951 at 1-34 PM at Chicago Illinois State.The planetary position at that time is shown above. He was born on Ashadha Bahula Chaturthi Saturday in Satabhisha star ruled by Rahu as per Vimsottari dasa system and in the hora of Jupiter. Lagna Lord Venus is in 11th Badhaka house with Ketu in same star quarter.This combination indicates voluntary exit from the world unable to bear pain or under a state of depression.This is one of the Karmic signatures of his chart. He died on 11-8-2014.He was running Ketu/Mercury/Ketu dasa at that time. Mercury was in Rahu star.Ketu dasa was on.So the role of Rahu and Ketu is clearly visible in his demise. Moon is with Rahu in 5th house from Lagna.Such natives,are usually addicted to some vice or the other.True to this,he was addicted to drugs and alcohol for quite some time. Lagna Lord Venus is with Ketu in a maraka place.He died in Ketu dasa and Ketu Vidasa. Mercury is in 6th house of disease in Rahu star indicating incurable disease.He is with Sun who is a maraka. Usually the dasa of Ketu/Mercury/Ketu will land people in severe depression.It appears that he was under a state of melancholy and depression from quite some time.No more proof is needed to testify to the veracity of Indian Astrology other than this. His Lagna is Libra that denotes artistes and performing actors.Its lord Venus is in 11th with Ketu.So he shined in movie field but found his exit from the world in Ketu dasa. There is a Jaimini rule that is inevitably found in charts with suicidal tendencies.Let us verify it in his chart. Mars is in Rahu star and aspecting the 3rd house from 9th.Saturn is aspecting him from 12th.So Saturn,Rahu and Mars are well connected.So it is evident that the much dreadd Shapitha Yoga has swallowed him.From Lagnarudha Ketu is found in 3rd house. So the rule of Sage Jaimini which was formulated thousands of years back in India is proved to be correct in the chart of Robin Williams. Conjunction of Saturn and Moon in Navamsha chart indicates depression and introvert nature.Conjunction of Rahu Mars and Mercury indicates an unpleasant death. Let me compare the planets at birth and death in his chart. Natal Mercury and Transit Mercury are exactly at same place. His Natal Lagna is sandwitched between transit Saturn and Mars indicating the grip of Shapitha Yoga on him. Natal Moon and Transit Moon both are in Aquarius. Ketu is transiting on Jupiter who is Jivakaraka as per Nadi astrology indicating exhaustion of life force. Transit Rahu is moving on Karma Karaka Saturn.This is an unfailing Nadi principle that indicates death or accident. This chart is another proof of Shapitha Yoga,Full Moon effect and Nadi principle of Rahu Ketu transit on Jiva and Karma karakas. Ebola is the latest killer virus that is scaring off the whole world. Since Rahu entered Virgo.I have been saying that this is the unmistakable effect of Rahu. Now look at this peculiar sign that resembles the occult sign of Rahu/Ketu in the picture of the dreadful virus. This is the picture of Ebola Virus. 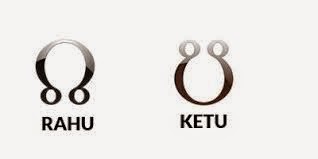 And these are the occult signs of Rahu and Ketu in Astrology. 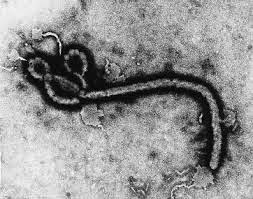 If you observe closely,these signs of Rahu and Ketu are clearly visible in the virus picture of Ebola. Reading of signs is an important part of Occult science and here you can see an unmistakable sign showing the presence of these most dreaded planets behind the outbreak of Ebola Virus. While writing a post when Rahu entered Kanya I predicted that terrible epidemics will rise their heads and create horror in the minds of people very soon. Reason?--Rahu the most dreaded planet entering Virgo the 6th house of natural Zodiac representing 'diseases'.Rahu is the creator of illusions and epidemics.He is the most dreaded demoniac serpent of Indian Astrology.As such it is very much logical to expect hitherto unheard of diseases becoming alive now when Rahu enters Virgo. A few days after I wrote the above mentioned post in my Telugu blog www.teluguyogi.net,the eastern states of India were under the grip of Japanese Encephalitis that claimed may lives and gave sleepless nights to the State Administration.Then Dengue fever showed itself on the stage of public life.Many cases of Dengue fever were reported in and around Hyderabad. Now the latest entrant is Ebola virus. Ebola virus is giving sleepless nights to Guninea,Liberia and Sierra Leone now and considered by some to be as powerful as HIV virus in its destructive capacity. Countries like USA,England and others are shivering in the wake of this dreadful virus.The international community has already sent a group of military doctors to the affected countries to quaratine the affected places.Heated discussions are on everywhere in the above mentioned countries on the measures to be undertaken to control the spread of this dreaded virus. The first patient who was attacked by this virus died and his doctor died too.This created havoc everywhere. All this is the result of Rahu's entry into Kanya Rasi.This is another unmistakable evidence to prove the effects of planets on human affairs. Let me cite a few undeniable evidences from the past,to prove my point. We know that Rahu makes a full circle of the Zodiac once in 18 years.Last time he was in Kanya from 1996 to 1998. If we just care to know what happened then,we will understand the power of Rahu and the havoc he could play when he lands in the 6th house of the Zodiac that denotes 'diseases'. Here are the unmistakable references from the past. In 1996 Cerebro spinal meningitis (CSM) rose its head in Nigeria killing 11,717 people.On the whole,1,09,580 people were affected with this sudden epidemic.This happened as soon as Rahu entered Virgo in 1996.Look at the following link. 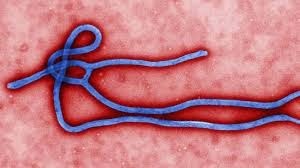 Now,after 18 years,Rahu is in Virgo again.Today we hear of the dreaded Ebola Virus which is threatening the life of thousands,unless effectively controlled before it plays havoc with human life. Could this be termed as co-incidental? Look at more proofs from the past. In 1996-97 Congenital Syphilis rose its head as a dreaded epidemic in Maryland Baltimore.Look at this link. At the same time,there arose a worst epidemic of Meningococcal disease in Spain.Look at this link. In Uganda a peculiar fever epidemic appeared on the scene as a most dreaded epidemic.Look at this link. At the same time,again,Measles epidemic rose its head in Romania.See this link. Again,at the same time,Dengue fever appeared as an epidemic in Guatemala.See this link too. Please remember--all these are epidemics,not stray incidents.An epidemic is defined as -"a disease that affects a disproportionately large number of people at a time in a region". If a stray incident happens somewhere on the globe,we need not consider it as something significant to pinpoint a planetary placement in heavens.But,when so many things happen at so many places simultaneously,then no sane brain will think twice before accepting that there is something strange behind these peculiar phenomena. The above recorded proofs are enough to say that planets have unmistakable effects on human lives. The real reason for the appearance of the above mentioned epidemics around the globe was the presence of Rahu in Virgo. Now again,we have Rahu in Virgo and suddenly we hear about the new killer virus Ebola.Now it is the turn of Rahu again,to lighten the Earth's Karma by mass destruction. The destructive march of Rahu for the coming one and half years, has just began. The British and the Moslems considered it as a mere story,deftly woven and imaginatively described,but devoid of historical authenticity.They could not digest the fact that their subjects have a very ancient past spanning thousands of years in time. As our fate would have it,most of us started believing this wrong notion entertained and propagated by our rulers.Thereupon started our cultural downfall.The day we started believing that Alexander's raid of India was the beginning of Indian History,the same day our cultural backbone began to degenerate.This is precisely what our rulers wanted to happen,because,a race that is devoid of self respect and faith in its history could be easily subjugated to slavery and plunder. Another strong reason for our downfall is the disappearance of Sanskrit,the language of gods,from our memory and curriculum.I will discuss this point at appropriate time. Through the modern education perpetuated upon us,and through the pitiable lack of scriptural study,we gradually degenerated to a state where we started doubting the historical authenticity of our great scriptural/historical records like Ramayana and Mahabharatha.Added to this,many Indian authors toeing the line of their European masters,started criticizing our ancient scriptures creating doubts in the minds of all of us. There is no need to disbelieve in our scriptures like Ramayana and Mahabharatha.They are historical documents. Sri Rama and Sri Krishna and the other heroes of these two scriptures are not figments of our imagination but historical figures. There should not be any doubt on this point. Of late,many startling facts have been seeing light of the day during the excavations of the Archaeological Survey of India.Many more hidden truths will come to light,if the ASI continues its search with more vigor and sincerity. One of the strongest evidences for the historical authenticity of Mahabharath is finding the submerged city of Dwaraka in the Arabian Sea.All the places of Mahabharath times like Kurukshetra, Indraprashtha,Dwaraka,Mathura,Brindavan etc. are very much visible before our eyes.If we cannot believe them even now,it would be the height of idiocy on our part. The Moslems and the British are gone long back.If we still continue to stick to their false theories on our history,nothing could be more harmful and insulting than this. Coming to the subject,there are umpteen number of incidents that I like in Mahabharath.One of them is the revenge of Ashwaththama. Let me explain this incident from an angle slightly different from what is commonly believed. We have seven Chiranjeevis (the immortals) in our scriptures. Aswaththama,Emperor Bali,Maharshi Vyasa,Hanuman, Vibhishana, Krupacharya and Lord Parashurama. They have no death till this kalpantha(end of the present time cycle) and are still alive,even today. Now this is not digestible to many. 'How can a person live for 5000 years or more?Can any one believe in such trash? '-they may ask. Whether one likes it or not,such things do exist.There are many things in Nature,that are well beyond our wildest imagination.On our part,we never believe in such things easily. Astrology, Yoga, Tantra, Vedanta,Ayurveda,the science of Omens-everything appears as trash to our minds. There is no wonder,after sometime,if we start disbelieving in our own parents.The simple fact is that without them we cannot exist.Similarly,without our age old Dharma and tradition,we as a society cannot exist.Tradition is the foundation of our society. Among the seven immortals of our culture,Emperor Bali is the oldest one.Lord Parashurama,Hanuman and Vibhishana belong to the age of Ramayana.The remaining three viz., Aswathhama, Maharshi Vyasa and Kripacharya belong to the age fo Mahabharatha. Thousands of years passed since their times,but all these people are alive,even today.There are many people in India who were fortunate to see them at different times and in different places.Among them,Aswathhama is seen even today in North India quite frequently.I personally know a sage who saw Lord Parashurama in the western ghats a few years back and talked to him for quite sometime. We cannot believe in physical immortality because we see people dying everyday.We conclude that everybody dies before reaching the age of 100.But we see some people crossing that limit and living upto the ripe old age of 150.Such people may be rarities but they do exist and their existence proves that death need not necessarily swallow a human being before he reaches his 100th year. Be that as it may,among the seven immortals,Maharshi Vyasa is the great guru of our tradition.He divided the mass of Vedas into four parts and composed 18 Puranas and 18 sub puranas for the welface of the world.He is still alive and is seen even today by some fortunte few in and around Varanasi.He is the person to be worshipped on the auspicious day of Guru Purnima.People may worship other gurus,but Maharshi Vyasa is not to be forgotten. Remaining two are Aswathhama and Kripacharya.They are closely related to each other,Kripacharya being the maternal uncle of Aswathhama.Both are Brahmins but adopted the Kshatriya lifestyle,mastering the art of weaponry.They are masters in the usage of ordinary weapons as well as the usage of celestial weapons that are invoked with the help of Mantras. Kripacharya was the first guru of the Kouravas and the Pandavas.In fact he was instrumental in bringing the celebrated guru Drona to Hastinapur to teach the art of warfare to the Kouravas and the Pandavas. He was a great sage by birth.He was not born out of a human womb.Like the god Kumara,he too was born without residing in a human womb.He was the son of a great rishi and inherited saintly qualities right from the time of his birth. Aswathhama is the son of Dronacharya and the grandson of Sage Bharadwaja.Rishi Bharadwaja has a leneage in his name even today.He was not only a master of the art of warfare with mundane as well as celestial weapons but also an expert in making airplanes of those days.In fact,he is the true father of aeronautics. Aswathhama and Kripacharya attacked the Pandava camp during that night.In that dreadful night,thousands of warriors sleeping over there,except Lord Krishna,the five Pandava brothers and Satyaki, were killed mercilessly by these two.This chapter in Mahabharatha is one of my favorite chapters for many reasons. 1.Aswathhama and Kripa are born Brahmins but adopted the dharma of Kshatriyas and became masters of weaponry. 2.Kripacharya was a follower of Dharma and a great soul.He fought from the side of Duryodhana because of his gratitude to him.It was Duryodhana who supported his family line and granted them everything duly venerating them as his gurus. Many warriors of those days were well aware of what dharma was.Being bound by the feeling of gratitude,they were forced by their conscience to fight on the side of the Kouravas.It was their Dharma to do so.Kripacharya too followed suit. 3.Aswathhama,being the son of a rishi,was well aware of what Dharma was all about,but could do nothing except supporting Duryodhana as he was bound by the duty of gratefulness to his patron king. 4.Aswathhama was a great warrior and an adept in the usage of weapons.Such was his might that he could fight with 60,000 warriors all alone.Among all the warriors of those days,he was the only one,except Arjuna,who could invoke the deadly celestial weapon called Brahma Shira. 4.Kripacharya and Aswathhama are quite alive even today.This is a fact,though many of us may not be able to digest it. That night, which had witnessed the mental turmoil of two immortals is worth remembering.A little meditation will show us what had transpired in the middle of the forest, in the dead of that dreadful night. That night had dared to question Dharma itself. That night defined Dharma in a very revolutionary new way. That night stood witness to the carnage perpetuated by a fearless and desperate warrior. On that night were sown the seeds that are responsible for the timeless curse that has been haunting Aswathhama down the line for thousands of years. Let me cut across the pages of history and peep directly into the darkness to see face to face,what transpired on that night. Duryodhana lay in the battle field all alone,with broken legs,awaiting death,which has been avoiding him.The battle of Kurukshetra was over.The Pandava camp was jubilant with song and dance. Only two persons were awake in that night. One is Duryodhana who was writhing with pain and awaiting death in the battle field. The other was Aswathhama sitting under a tree in the forest looking hopelessly into the veil of darkness that surrounded him. Kripacharya and Kritavarma are in deep slumber beside him,but sleep is avoiding Aswathhama.He was haunted by the murder of his father as well as by the pitiable state in which his friend and King,Duryodhana was in. He was helpless.Despite having many unimaginable skills he had to witness the cruel murder of his father Dronacharya in the battle field.Now,again,he is witness to the cruel end of King Duryodhana in the battlefield.He was boiling with anger and helplessness. Then he saw an incident.An owl was moving around on the trees and killing the baby crows by entering into the crow nests stealthily.It was a message for him.He felt the hand of providence in what he saw.He felt that his prayers were answered.His plan took shape. Crows,unlike Owls, cannot see during nights.So they retire during nights.The Owl's business is quite opposite.Its field of activity is the dead of night as it could see through the dark conveniently. This sight was a revelation to Aswathhama.He instantly understood his mission.He had to hurry up and finish his task before the break of dawn.Every minute is valuable and no time should be wasted. He was beside himself with excitement and woke up Kripacharya and Kritavarma.He explained them about the revelation he had and told them what he was planning to do.He was ready to go,all said and done,with or without their help.He was ready to kill the Pandavas before daybreak. The conversation that ensued between Kripacharya and Aswathhama on that night was invaluable in content and unsurpassing in its depth.It contains the answers to most of the questions that keep haunting us every day.